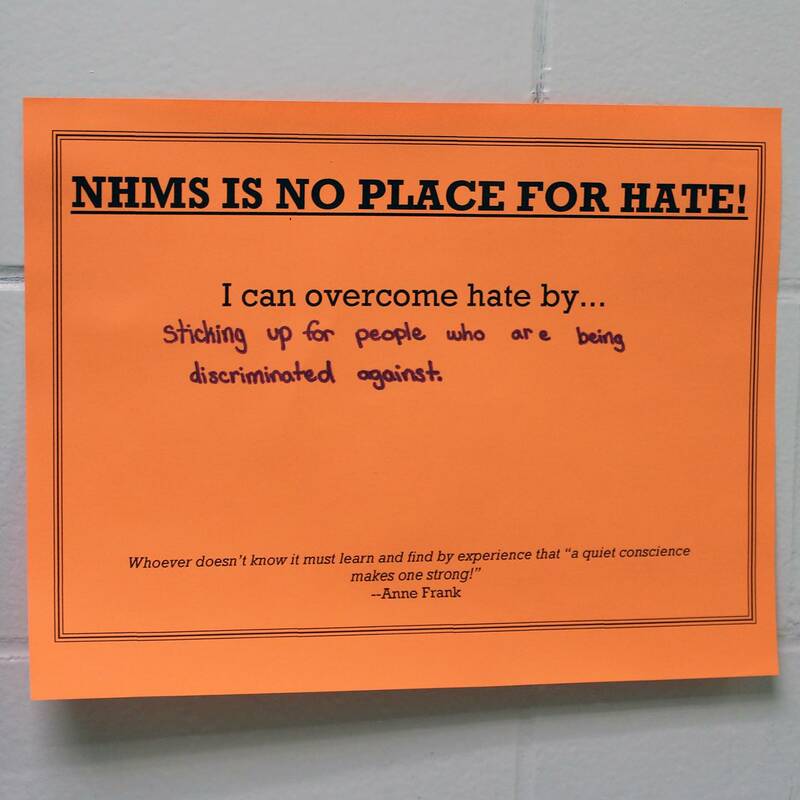 Grade 8 students at the middle school are making the choice to stand against hate in their English classes today. 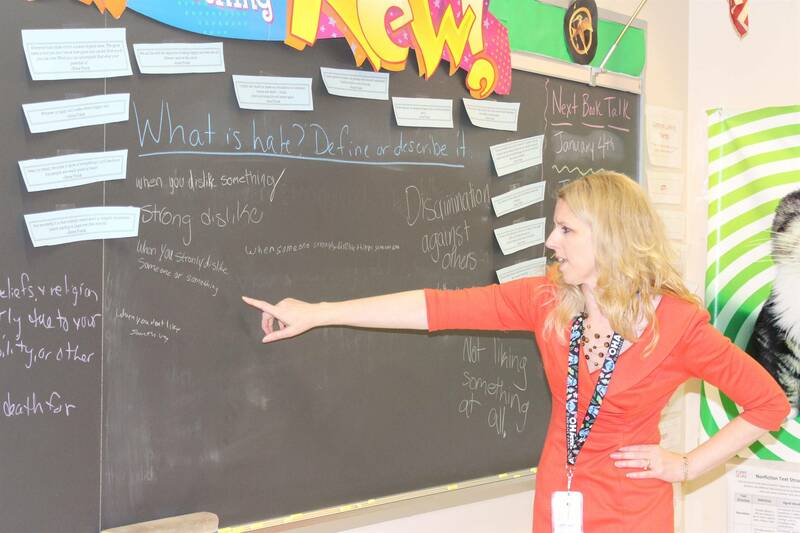 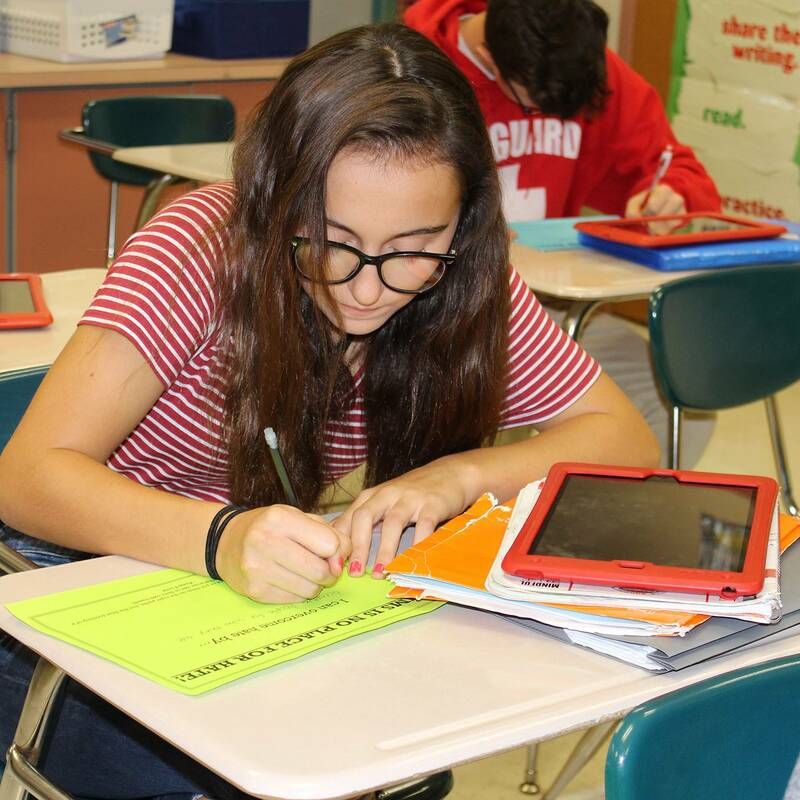 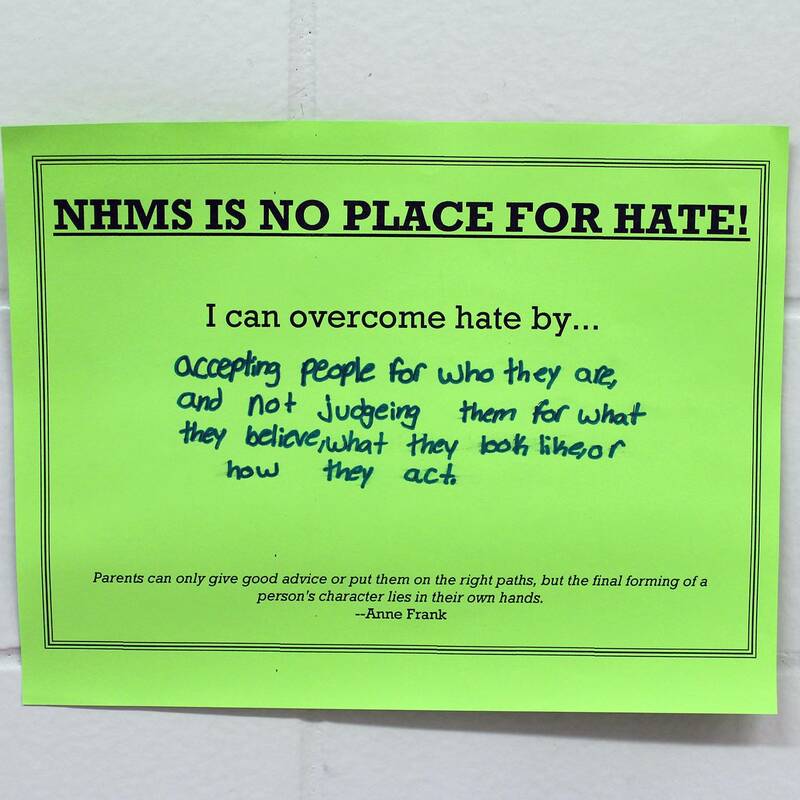 As part of their ongoing lessons on “The Diary of Anne Frank” and human rights and within the school’s designation as a No Place for Hate School by the Anti-Defamation League, students defined and described hate. 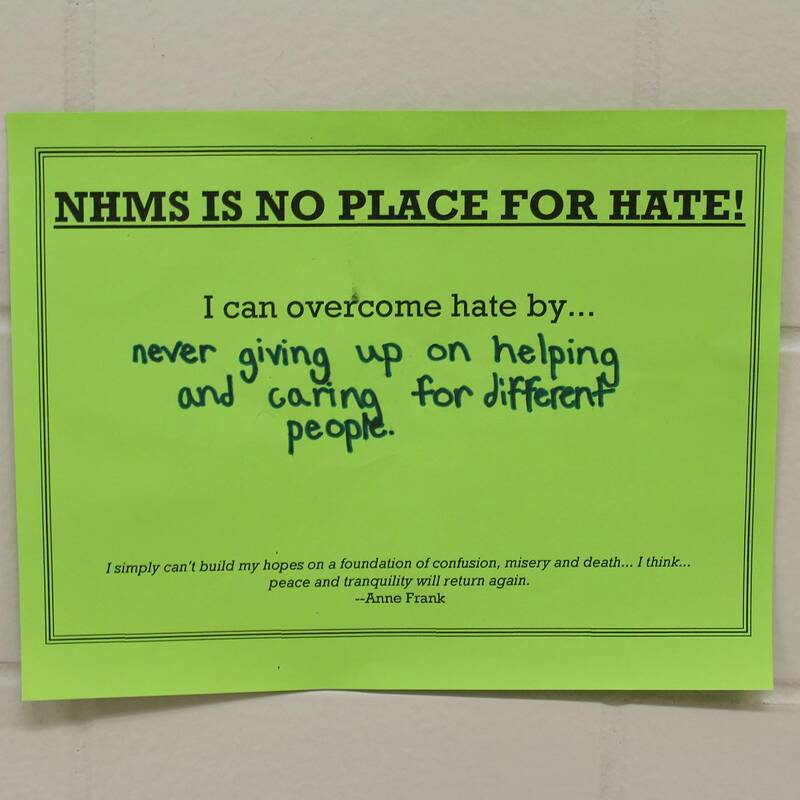 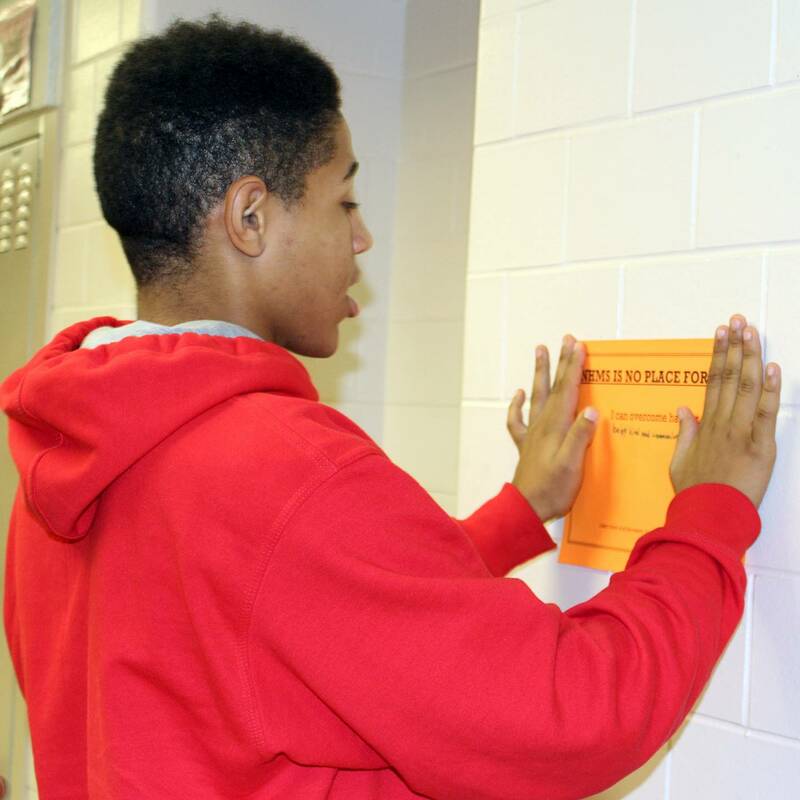 Each student then came up with a way “I can overcome hate by…” and hung their signs in the eighth-grade hallway to inspire and encourage their fellow students. 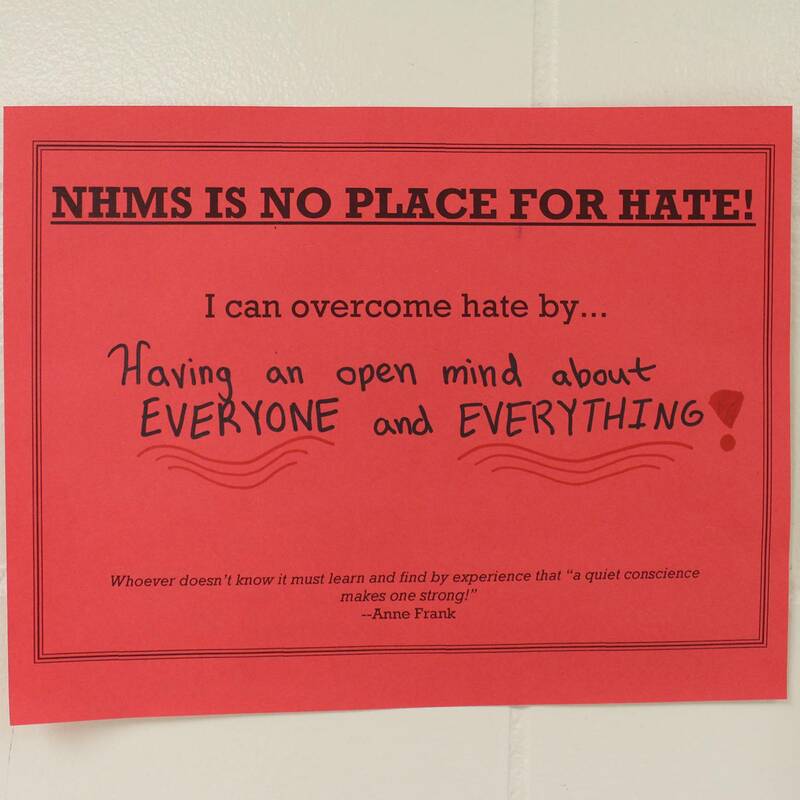 At North Hills, we are dedicated to raising compassionate individuals who support those in their times of need and who resolve to make our world a better place for all those in it. 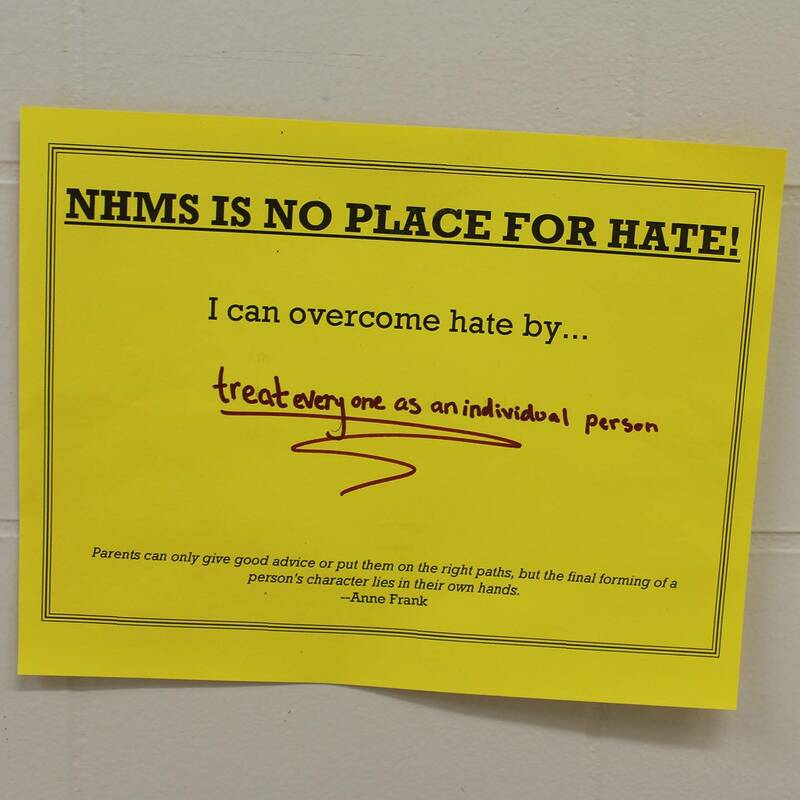 We stand together as a community against hate, bigotry and violence, and we will continue to stand strong for love, understanding and inclusion.